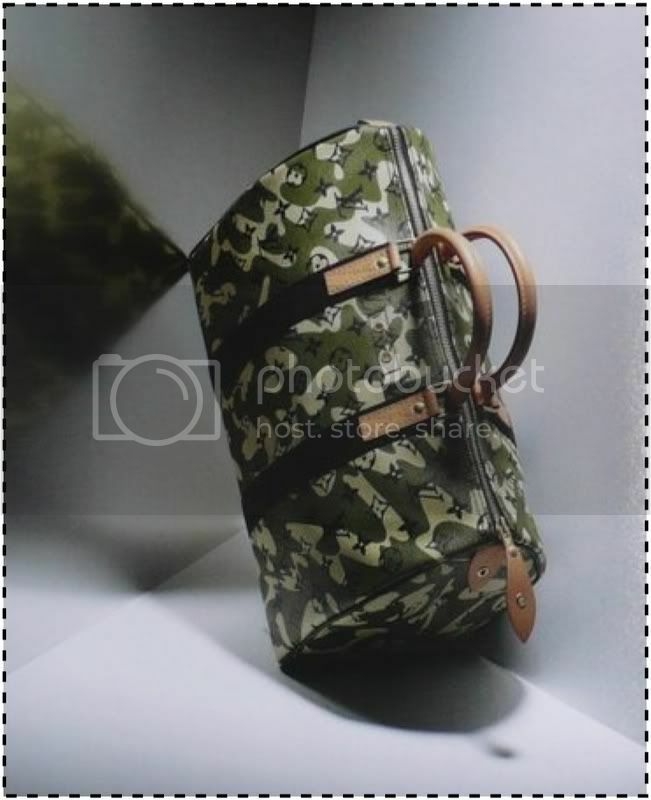 Yep, the long awaited Louis Vuitton X Marc Jacobs X Takashi Murakami X Monogram X Camouflage mashup has arrived. Louis Vuitton Monogramouflage lauched at the Brooklyn Museum of Art Preview Party Friday night. If you didn’t get one Sunday, you’ll have to wait till Wednesday, as the museum is closed Monday and Tuesday. Unless of course you want to pay twice up to twice retail on eBay. Patience is a virtue… they’ll be available at a Boutique near you for the masses June 15.